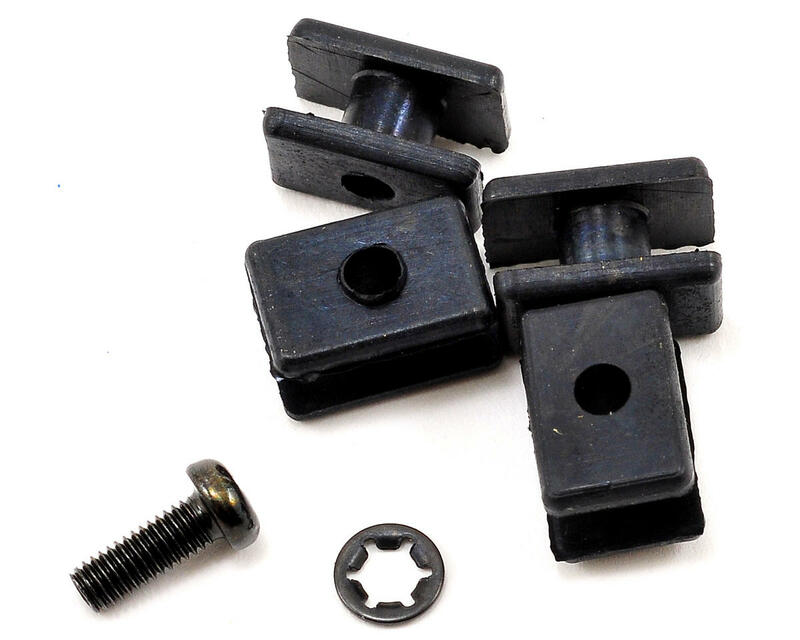 This is a replacement Losi S900S 1/5 Scale Metal Gear Steering Servo, and is intended for use with the Losi 5IVE-T 1/5 scale truck. This is the steering servo that is included with the truck, but can also be used in the throttle servo position if you want a throttle servo with more torque or you wish to run your truck on a Li-Poly battery without a regulator. 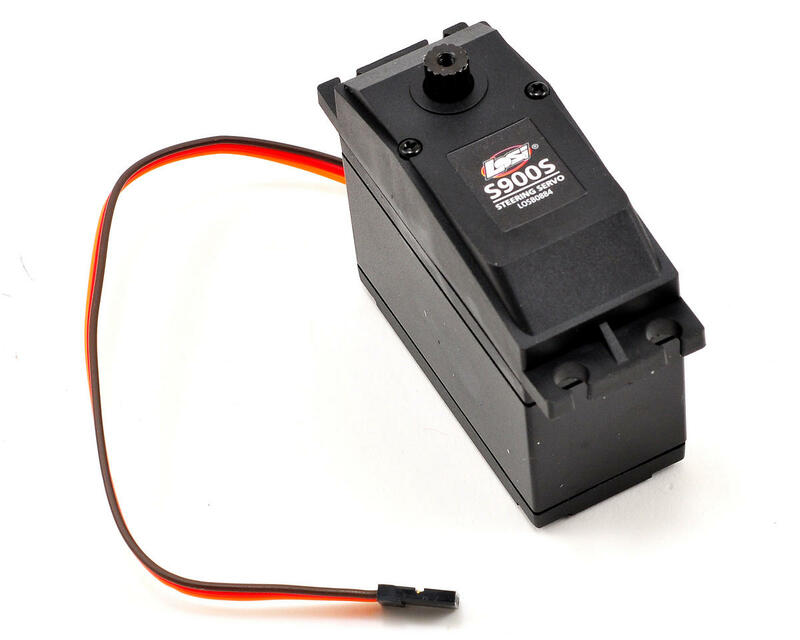 This is also an excellent servo for other large scale applications that require a high torque metal gear servo. NOTE: Does not include servo horn or steering linkage. 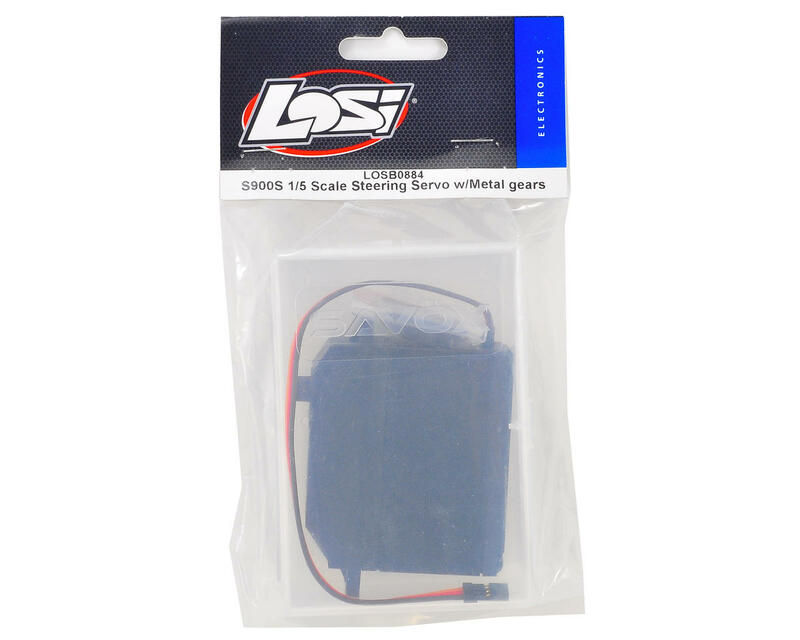 LOSB5900 is the stock steering servo horn and linkage used with the Losi 5IVE-T.
NOT high voltage. This servo is compatible only with 6 volt outputs, not 7.4 or 8.4.